Every now and then, Ferrari decides to bring special cars, which are offered to a handful of seriously wealthy customers. 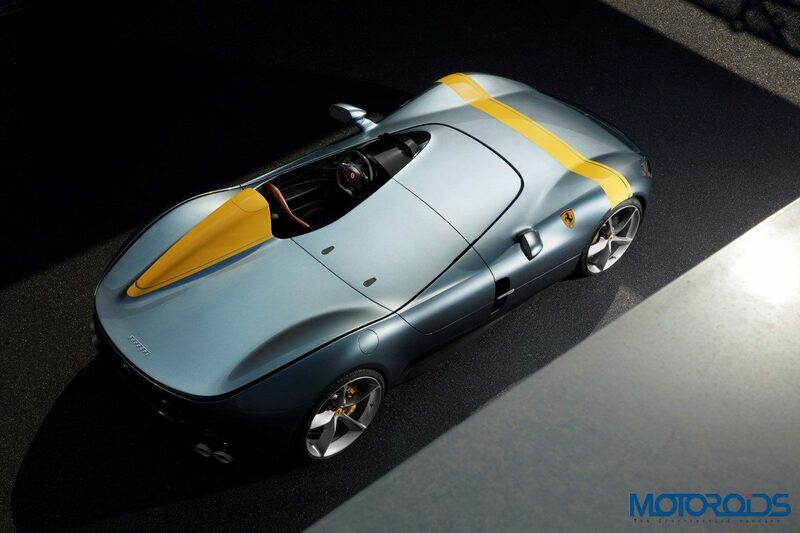 This time around, they have come out with the Ferrari Monza SP1 and SP2, which do remind us of the legendary Le Mans Champ – the Ferrari 250 Testa Rossa. These open cockpit cars are made with the extensive use of carbon fibre to keep weight as low as possible. Under a long clamshell bonnet is a bonkers 65 degree, 6.5-litre V 12 which pushes out a colossal 800 bhp and 719 Nm. This makes the engine the most powerful V12 to come out of Maranello, and perhaps, even the last naturally aspirated V12 from the Italian car maker. Power goes to the rear wheels via a 7-speed, quick shifting dual clutch automatic. All this in a package which looks like it is THE modern machine which could mark the return of actual wallpapers. These limited-edition special-series cars are the first in a new segment called ‘Icona’ and draw inspiration from the most evocative Ferraris of the 1950s and feature the most advanced sports car technology available today. Starting with the Ferrari Monza SP1, a single seater speedster, it tips the scales at 1,500 kg while the SP2 gains an extra 20 kg, weighing in at 1,520 kg. The SP2 features two seats gets rid of the tonneau cover and scores a second protective screen and a second roll-bar. 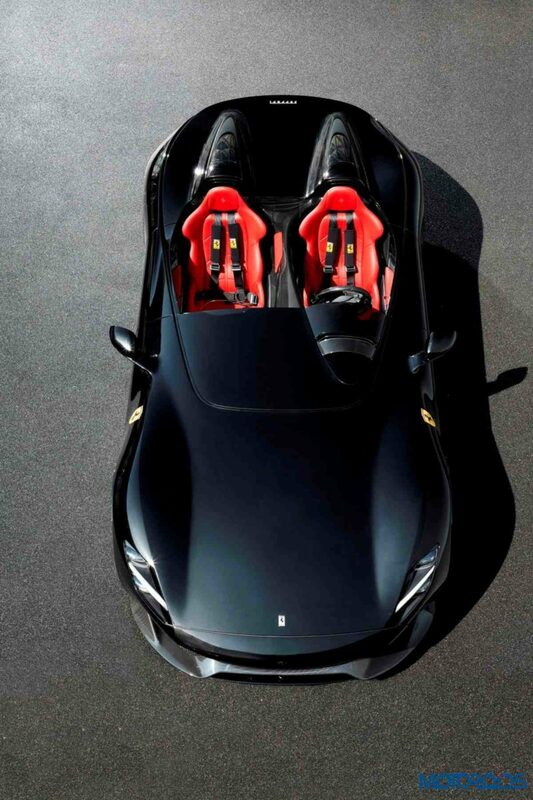 Both the cars come with small scissor doors and come with Ferrari’s patented virtual windshield, which deviates air flow from the passengers. The single-seater SP1 tips the scales at 1,500 kg while the SP2 gains an extra 20 kg, weighing in at 1,520 kg. With a top speed of more than 300 kmph. these little cars can reach 200 kmph from a standstill in a mere 7.9 seconds and 100 km/h comes in 2,9 seconds. These two cars pay homage to three legendary cars. Firstly the 166 MM from 1948. It was this very car that inspired the name Barchetta. The two others, the Ferrari 750 Monza and 860 Monza built a name for Ferrari, by winning a number of championships back in the 1950s. Wonder how these sound? Well, below is a video uploaded by Ferrari, showcasing these two wonderful vehicles. We do recommend using earphones if you want to listen to that glorious V12 engine.